Thoroughly updated and revised, this Second Edition is the only book currently on the market to present the most important and commonly used methods in human resource management in such detail. The authors clearly outline how organizations can create programs to improve hiring and training, make jobs safer, provide a satisfying work environment, and help employees to work smarter. 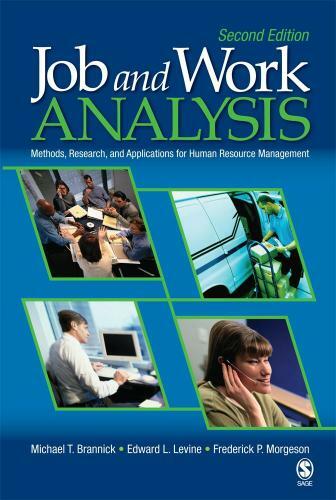 Throughout, they provide practical tips on how to conduct a job analysis, often offering anecdotes from their own experiences.